"In the Business of Healing Minds"
Healing Minds and Hearts Services (HMHS); believes in the ideals of building mental and emotional well-belling through self-empowerment. We utilize a compassionate and innovative care approach with goals of empowering the mind, body and spirit. 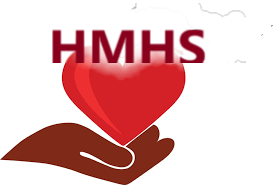 HMHS provides comprehensive mental health treatment in a safe and non-judgmental environment. We provide mental health treatment and therapy to individuals including children and teens and families that come to us for support and resolve in dealing with life issues. "In the Business of Healing Minds..."